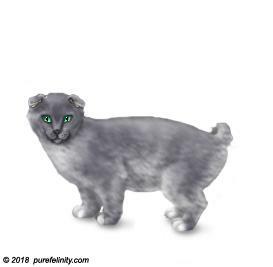 General: This breed originated from the love of the Veranda Cat and Norwegian Ottercat but with folded and folded curled ears which is caused from some lovely Curlique studs that visited. It is a sister breed to the Norwegian Ottercat. The breeder loved their folded and curled folded ears along with their variety that came from those studs and decided to make the Veranda Ottercats.